We’ve all wondered how to build a capsule wardrobe: that ideal state where your overtly materialistic tendencies are replaced by Zen-like peace of mind; you dress how you want every day, you own only what you wear, and you are one with the Force. Nobody lives this way, but it’s a nice goal. In this two-part article, I’ll elaborate a bit on the thought processes you can take to work towards it. In part 1, we’ll focus on who you are, and what you’d like to wear. Appraise your current wardrobe and where you are in your menswear journey. Are you a newbie who’s just getting into clothing? That is, you’ve just come across Styleforum and are realizing that everything you know is wrong? Or have you already amassed a large wardrobe of clothing, but still find it difficult to decide what to wear? In either case, you have much to learn, and I’m not just talking about the “rules.” I mean about yourself—your style; the version of yourself you want to project through your clothing that is most sensible for your lifestyle and life’s circumstances. If you’re just starting out, resist the urge to buy any and every awesome piece of clothing you see on B&S/eBay/deep discount. You will do yourself a great favor by just making do with your current wardrobe while you figure things out. How do you “figure things out?” You observe and participate in discussions here, and find the “Coherent Combinations for Beginners” cached Internet Archive thread from Voxsartoria. If you’ve got an already-large wardrobe, pay attention to what you come back to time and again. Pare your closet down to what you actually wear. I alway put my most recently worn shirt to the furthest right in my closet. I almost never get more than 8-10 shirts deep before I’ve washed them and start over again with those same shirts. All the shirts to the left of that are either: 1- Seasonal shirts (madras or linen or Oxford), or 2- Shirts I don’t wear. 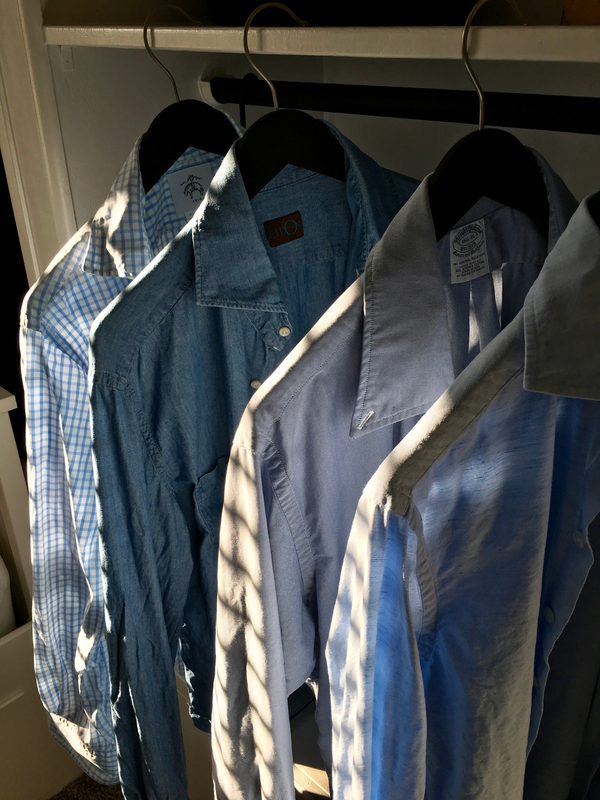 You can probably safely get rid of the non-seasonal shirts you don’t wear except for the ones you need for special occasions. Figure out a similar system for trousers, jackets, and even shoes. A capsule wardrobe will free up closet space, which just feels good. And unless you have unlimited funds—and assuming what you own is quasi-valuable—you can get actual money out of these obsolete possessions. Sell them on the buying and selling forum, and use that money to upgrade what you keep. Make a list of what you would want to make your dream capsule wardrobe. Making a capsule wardrobe is like packing for vacation: you need versatility, where everything goes with almost everything else. But this is more aspirational—you are picturing what you really want in order to become the best-dressed version of who you want to be. In my case, I actually created a Pinterest board with photos of cool clothes (I found out later a bunch of those pics were of @NickPollica – the Creatie Director at Eidos – before I knew who he was; go figure). I wanted to have a “complete wardrobe,” and I had a bookmarks folder with links to actual products that matched those inspirational photos. This step is the most important, because you’ll find all kinds of awesome stuff on sale that you’ll love and which would totally make your life better if you owned it. But your goal isn’t to buy everything that’s awesome, it’s to make a lean, wearable, flexible wardrobe. Having this list will help you when you’re three sheets to the wind and that Mt Fuji kimono is on clearance at No Man Walks Alone. You can pull it up and remind yourself of what you actually need, not just what would make you the coolest dude this weekend at Acme on Broadway in Nashville. Having this list also helps you to upgrade what you already have systematically, piece by piece. For instance you may have a workhorse Brooks Brothers suit, but now prefer Italian tailoring. Once you know what in your wardrobe needs to be upgraded, you can start looking for the best replacements. This entry was posted in Style and tagged capsule wardrobe, essentials, wardrobe by Mitchell Moss. Bookmark the permalink. Nice write-up. Is that a Teba jacket in the top left hand corner just above the Breton stripe sweater? The two jackets are both Eidos (surprise surprise for me lol). The two items directly above the breton—the navy and white pieces—are both polo shirts. The navy is a casual one-piece collar style, the white is a four-button spread collar style. About the polo shirts; Are they Eidos? Thanks. I’m trying to step up my polo game (both long and short-sleeve). Yes sir they are. The white one is the Camicia, which is kind of what I’d imagine Agnelli wearing, (check Barney’s Warehouse, Saks.com and look up Supply & Advise—all three have some in stock) and the navy is the Lupo, which is really best worn under a sportcoat (that model isn’t being produced this season though I understand is coming back for fall at a lower price). Excellent, thanks! I just purchased a Kent Wang Long Sleeve Polo (Rugby) and the fit is almost perfect. It’s similar to the Eidos Ladro polo at Supply and Advise. I’m going to be in Miami this week so I’m definitely hitting S and A to try on both the Ladro and Camica. The Lupo is being made for Bloomingdales. I tried it on yesterday. They had Navy, White, Green and Beige…the fit wasn’t great for me but my tailor could dial it in perfectly…that’s alot of work and money however. This article was very timely for me; I’m at the point where I have an overflowing closet of great stuff that I barely wear. I’m working now to pare down what I have and really dial in my style. Cheers. Best comment ever, thanks so much. Nice to know it’s helpful IRL! So on the Lupo polos, they’re switching production to a USA factory and Antonio told me the price will be lower MSRP and the consistency of fit and quality will be better, too. So, give them another shot come fall. 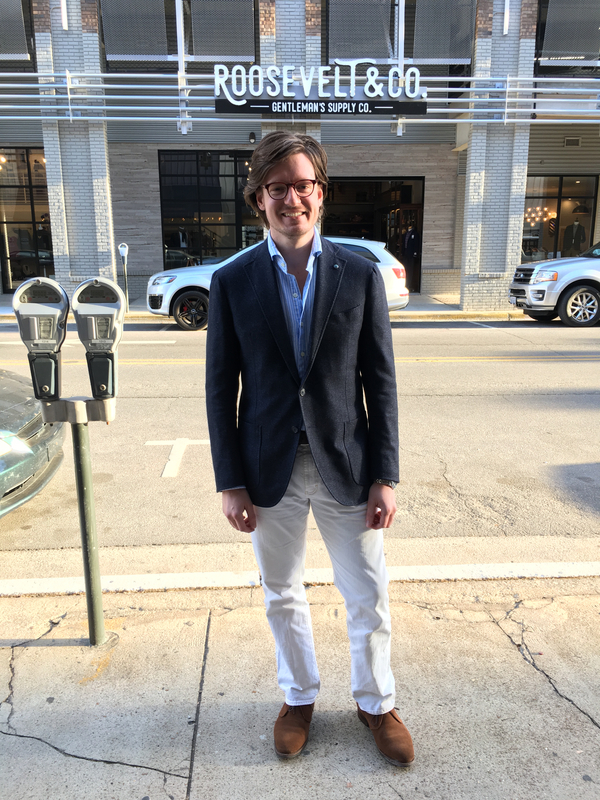 I personally prefer the four-button popover-style soft knits—like the Luca Avitabile Friday polo, and like Eidos’ Camicia (though the collar’s cut doesn’t actually stand up under a jacket so I haven’t bought any more than this white one). Legitimately may just break down and get some KW ones, or maybe try Luxire. We’ll see. Cheers! Absolutely helpful IRL and very timely for me. Like I said, I’m trying to ween off the compulsive looking/buying and really focus on what I actually wear. Great news on the Eidos Lupo, I’ll look for them in the fall. I didn’t get to S and A today because after Zak’s Bakery and the Salty Donut I couldn’t move…will get there tomorrow for sure. I’ll also check out the Friday Polo also but I’m really trying to buy only what I’ve tried on first, unless of course there’s free shipping and returns. Another one that I’ve lusted over but haven’t pulled trigger is from G. Ingles. No Man Walks Alone carries them. Check em out. Cheers!